Deanna Rupa has covered her home in paintings that she calls art, but the city considers graffiti. LEBANON, KY (WAVE) - The question of public art versus defacing property unfolds in Marion County. The Lebanon City Council all voted to cite Deanna Rupa for the murals she has on her home. Rupa said she began painting on her home about a year ago. She recently joined a local artist, painting African American leaders and pop culture icons like Dolly Parton, Rosa Parks, and Muhammad Ali. Her inspiration stems from “The Greatest,” Rupa said. In June, the city served Rupa with a notice of violation for defacement of property. She must remove the painting to set things right with the city. "Well that's not going to happen,” Rupa said. Rupa said the citation violates her right to freedom of speech. The city attorney said she is in violation of city code. The code prohibits people from defacing the exterior of a home with markings or graffiti. Rupa argues her murals aren't defacing anything. “In order to have a peaceful world we must show another generation how to stand up for what they believe in,” Rupa said. 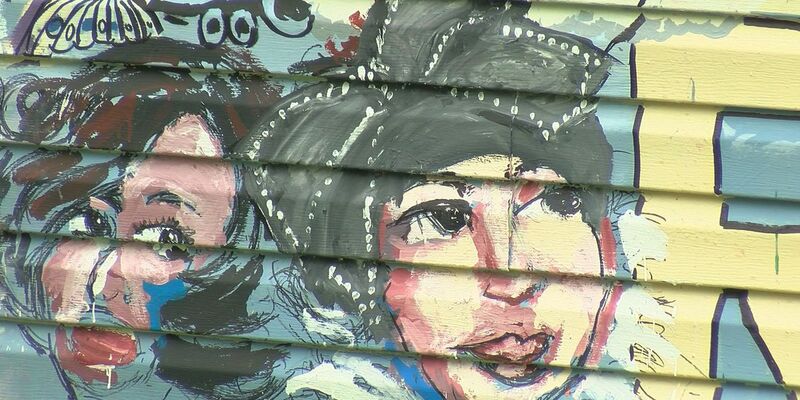 Some of Rupa's neighbors don't agree with her mission to inspire through the murals. The city said Rupa is in a period where she can still appeal by filing a complaint in the Marion District Court. Rupa is not the owner of the home, she is a renter. She said her landlords stand behind her murals. They were also cited, but did not respond for comments. Rupa said her next step is meeting with a lawyer, so she can keep her murals up.